I am an ecologist and the Chief Scientist at Earthwatch Institute, USA. My responsibilities include developing strategic initiatives to explore key environmental sustainability issues and establishing partnerships with principal investigators. In my ecological research I focus on wolves and fire in Rocky Mountain ecosystems. I have a master’s degree in conservation biology from Prescott College, a PhD in Forestry and Wildlife from Oregon State University. I am a Smithsonian Research Associate, a Boone and Crockett Club professional member, and a Black Earth Institute Scholar/Advisor. My first book, The Wolf’s Tooth, was published in 2010 by Island Press. My second book, The Carnivore Way, was published by Island Press in May 2014. I am currently writing a book about climate change, Taking the Heat: Wildlife, Food Webs and Extinction in a Warming World. 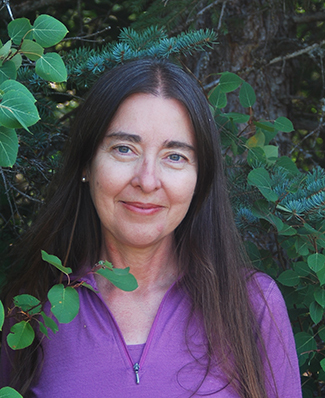 I serve on the editorial board of the Ecological Society of America and Oregon State University Press, and am the book review editor for Ecology and the nonfiction editor for Whitefish Review. For two decades I lived with my family in a remote, wild corner of northwest Montana. I currently live in Concord, Massachusetts, near Walden Pond. Articles and Blog about my current work, travel and updates to the scientific research about climate change and trophic cascades. You can join me on an Earthwatch Expedition. Cristina Eisenberg's two published books, The Carnivoire Way and The Wolf’s Tooth. Current and past published writings, scientific papers, journal collaborations and white papers. For the past decade I have been studying food web relationships between apex predators and their prey. The direct and indirect food web effects driven by apex predators, called trophic cascades, can touch many other species.